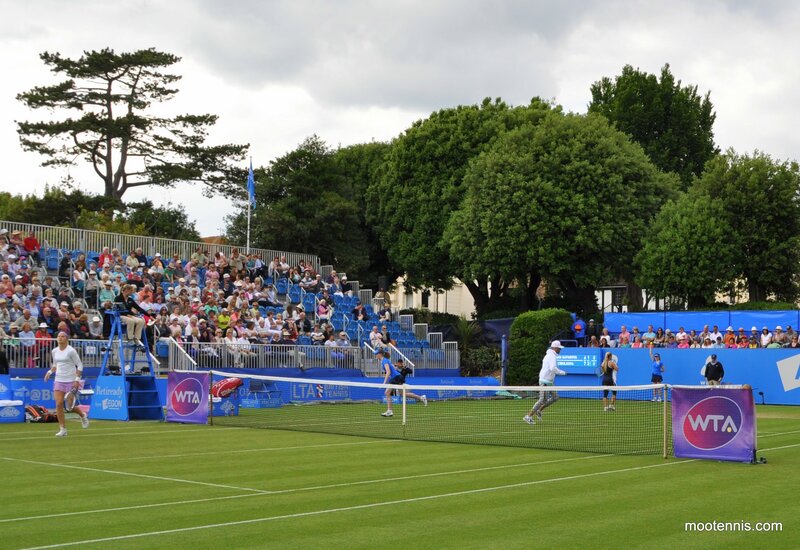 On Tuesday at the Aegon International in Eastbourne, I watched two matches on Court 1. Two of the stands are reserved seating, but one stand is unreserved for centre court holders. I’ve never had a problem getting a seat and it’s a nice court to watch tennis on. Here are my accounts and photos from Petko-Garcia and Safarova-Cibulkova. 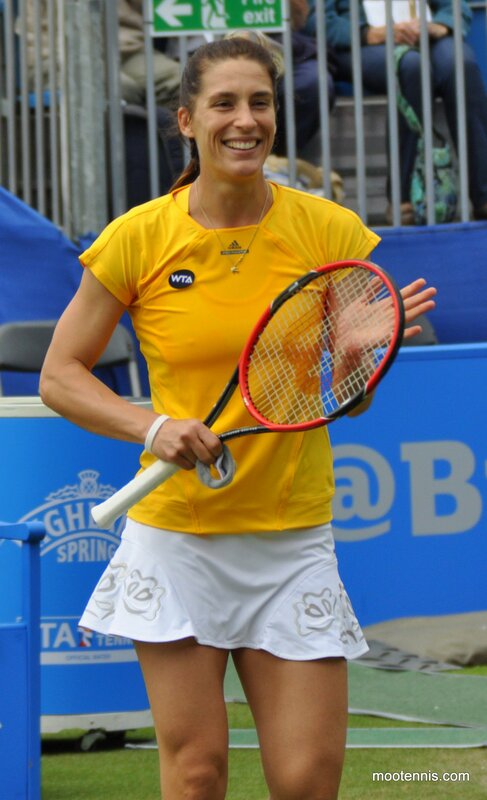 I was really impressed with Petko in this match. She’s spoken before about not being the best grass court player and I have to be honest I was expecting Garcia to win this match. 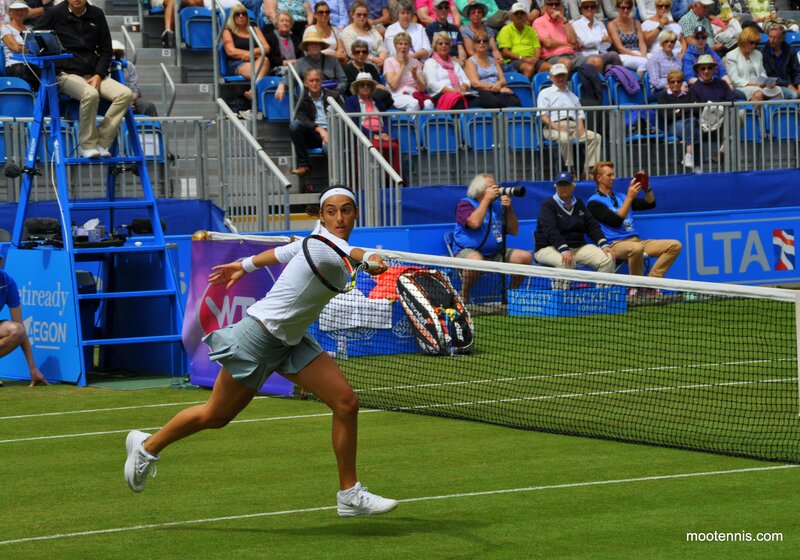 Petkovic was very solid, making very few errors and keeping a great depth to her shots. She kept picking Garcia off at the net, who also dumped MANY volleys into the net. CarGar had a really rough day. She hit a few nice winners but never managed to string them together to create some momentum. 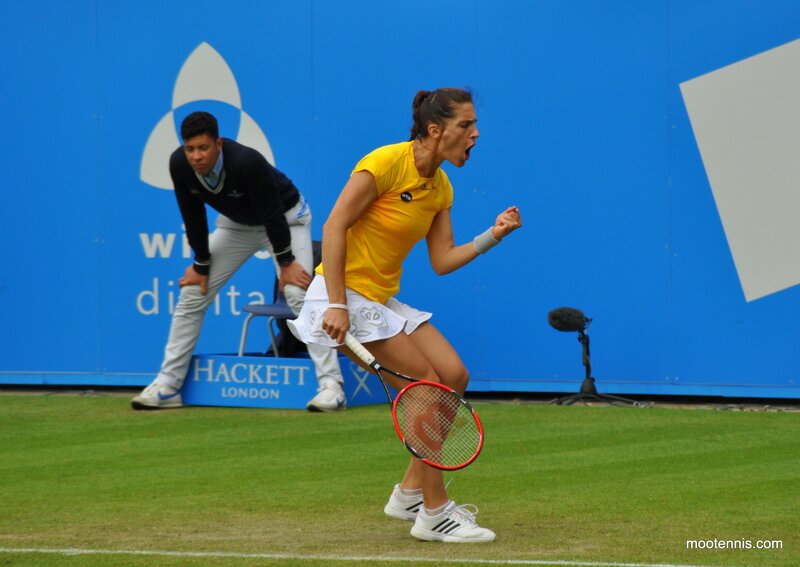 It was a flawless performance from Petkovic if it wasn’t for the end of each sets. Petkovic need five set points to win the opeing set and then had a little wobble at the end as she was unable to serve out the match at the first time of asking. Second time round she held to 15. 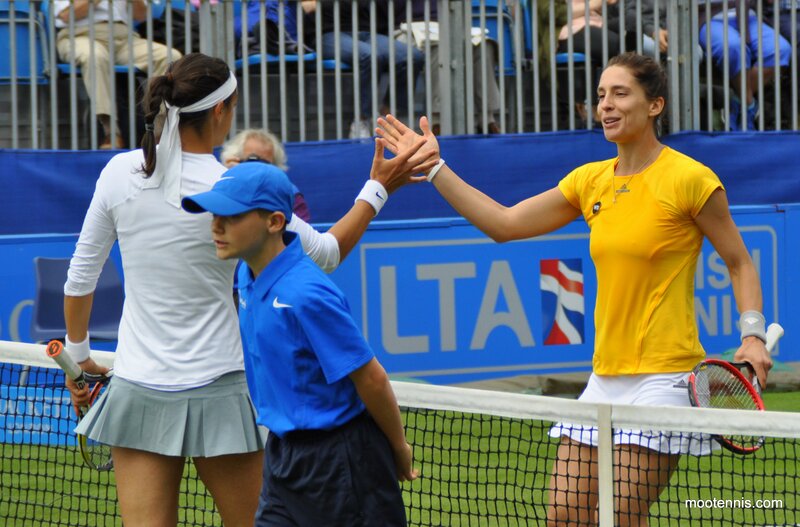 Petko was understandably beaming at the end after her first win of the 2015 grass court season. 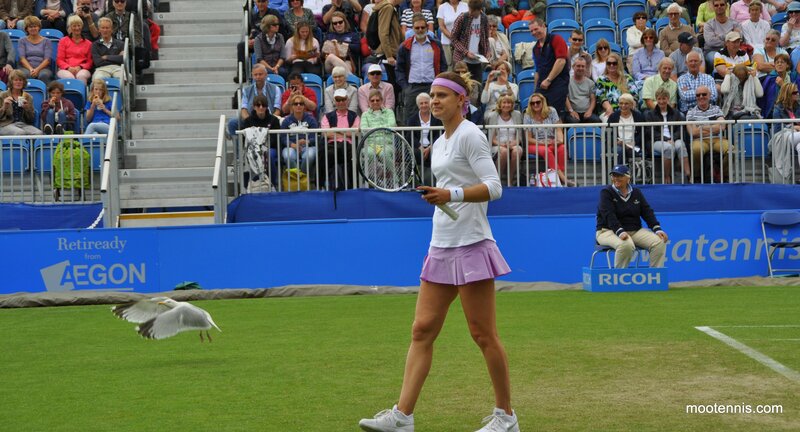 I was in the front row for Lucie’s match with Domi. As the pair walked onto court, they were both chatting away. This was a really good match but it obviously didn’t have the outcome I hoped for! The pair exchanged breaks early on in the first set and then both missed opportunities to break again later on. 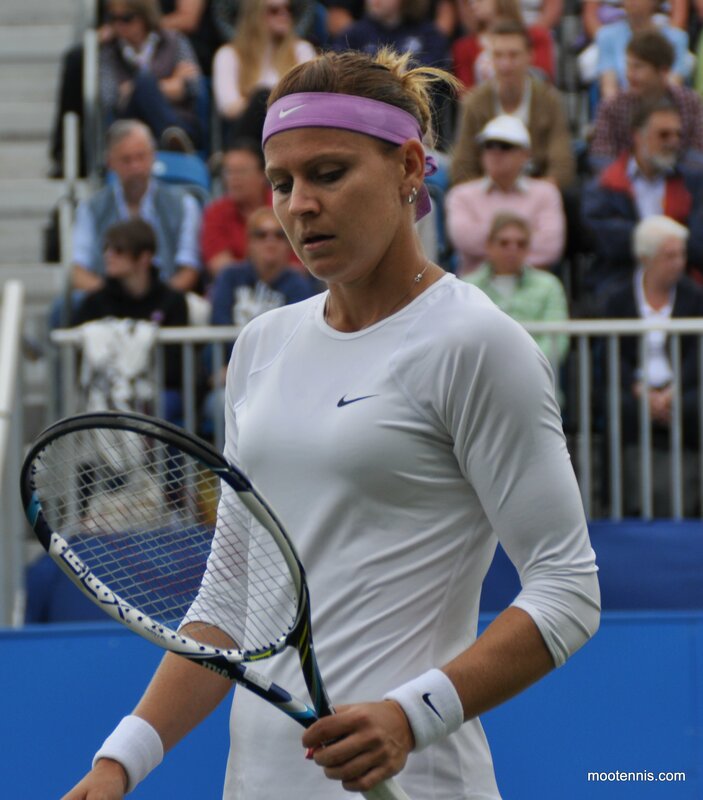 The match went into the tiebreak where Lucie had two set points, but couldn’t take either of them. I can’t remember which point but there was one great rally where Lucie failed to put Domi away and the Slovak player threw up a lob that got her back in the point. 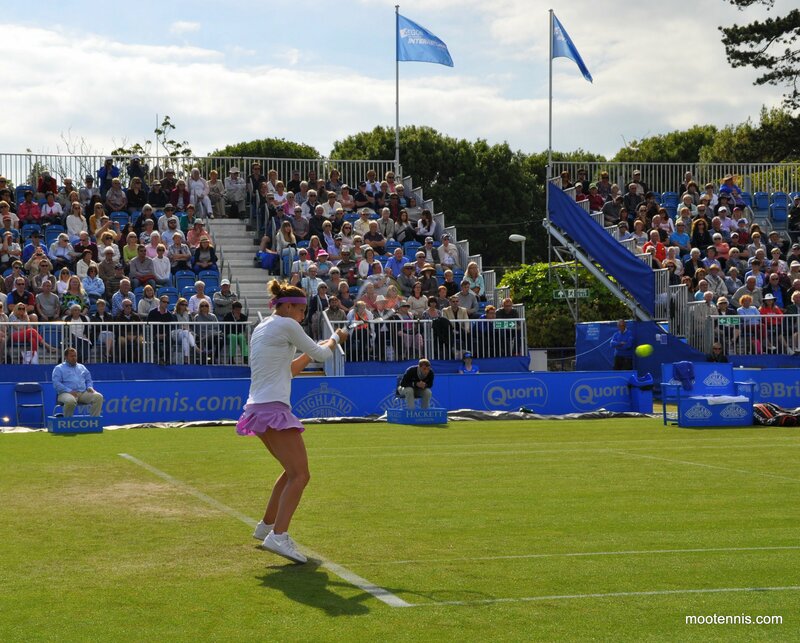 The normally quiet Eastbourne crowd were very appreciative of the players’ effort. There was a funny moment in the tiebreak when Lucie thought it was her turn to serve and she got the balls ready. She then realised it was actually Domi’s serve. One guy in the crowd said “look, she thought it was her turn to serve!”. 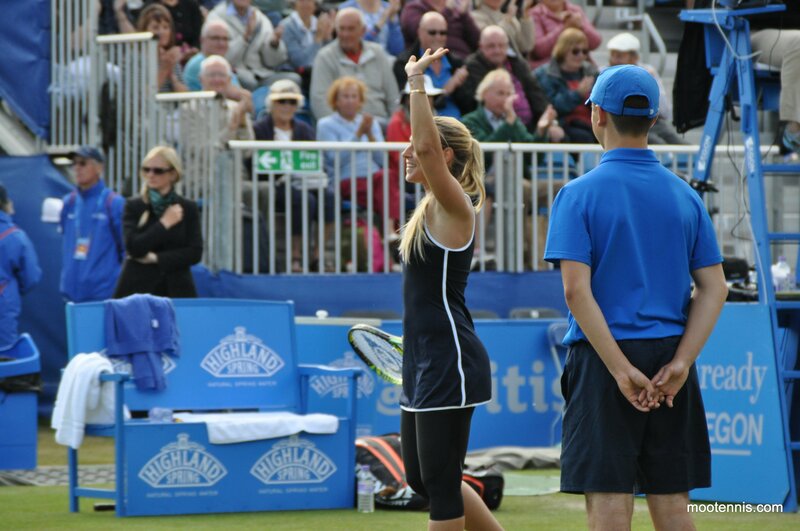 Lucie must have heard as she put her hand up in the direction of the guy who shouted it out and started laughing. Domi had the momentum into the second set and broke immediately. Lucie stayed close to Domi during the second set but the problem was she just couldn’t get the break back despite many opportunities. Lucie had four break points at 1-2* and two at 3-4*. She also got to 0-30 on Domi’s serve when she served for the match but the Slovak player, competing in her first tournament since Antwerp, played a superb match and was thoroughly deserving of the victory. I was saddd. 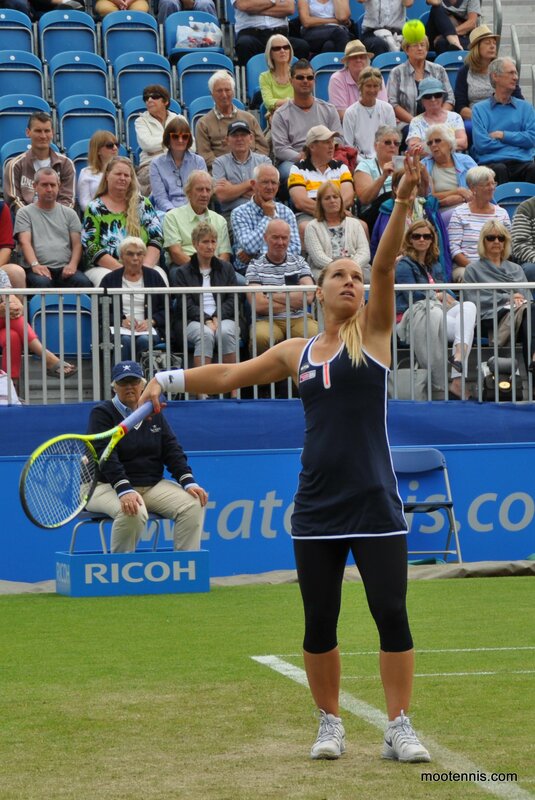 And finally, here are a few more shots from the Lucie-Domi match. Lucie had company at one point. There was one sighting of Rob but my seat was too low to get a shot from their one changeover chat. 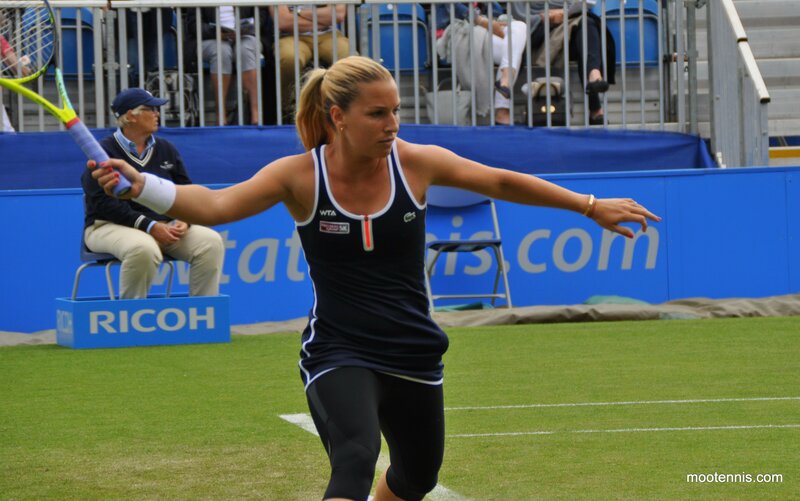 June 24, 2015 in Cibulkova, Eastbourne, Garcia, Petkovic, Safarova, Tournament Report, WTA. Many thanks for the photos. 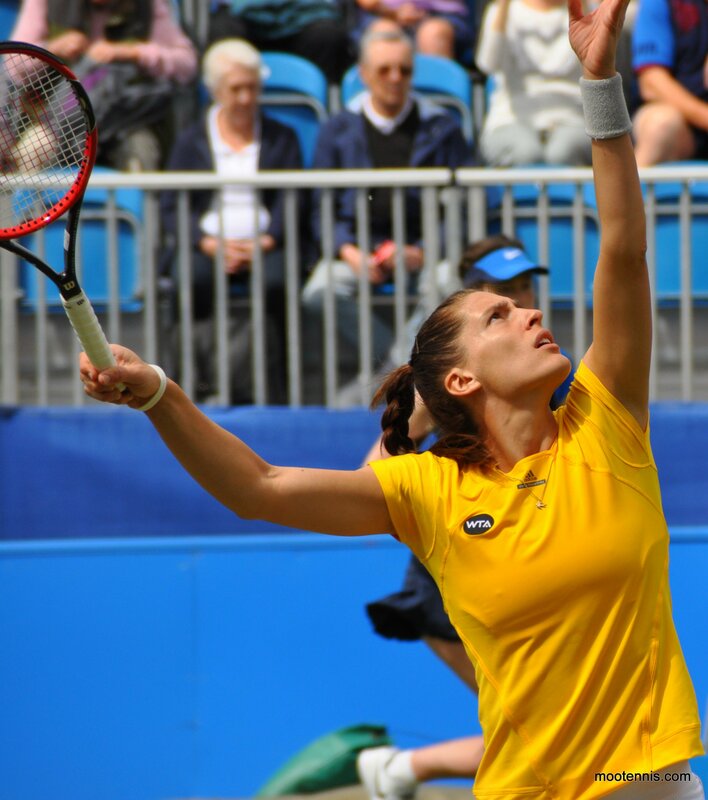 I like Petko’s photos. Radwanska has swatted Pliskova, IS THIS FOR REAL? I thought Pliskova will beat Radwanska 6-2 6-1, the opposite has happened. I saw Konta’s match, she played consistent and was unfazed by Muguruza, I liked it. Well done Daria,loved your drop shot return off one of Sara’s serves in the match,good to see your grass legs getting better,good luck in your match against Sloane in the q/finals. 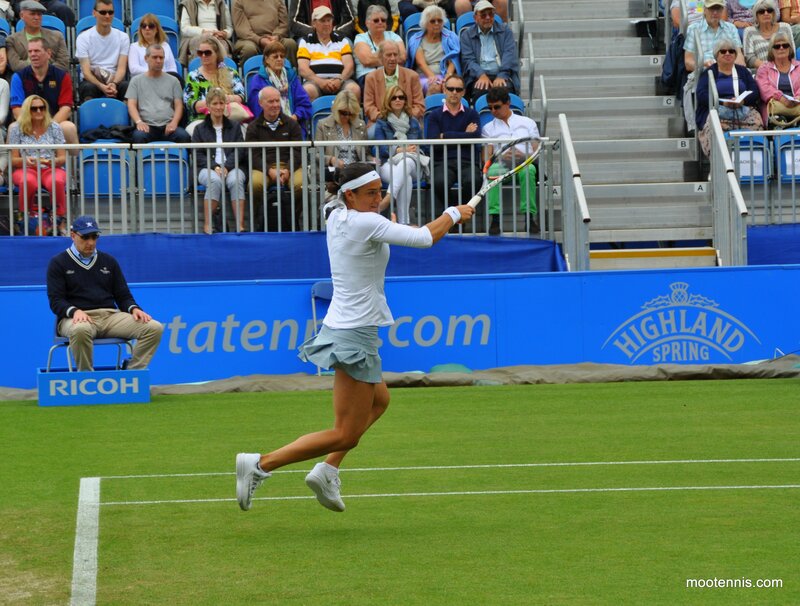 James thanks soo much for all your great photo’s from Eastbourne!